Well, who knows if fall is really coming at this point. I mean, we didn't have 90 degree weather all summer long and of course now that it's officially fall, these temps are not only refusing to drop, but seemingly increasing everyday! Not sure if summer is ever planning to leave us behind, but a girl can dream for fall, right? 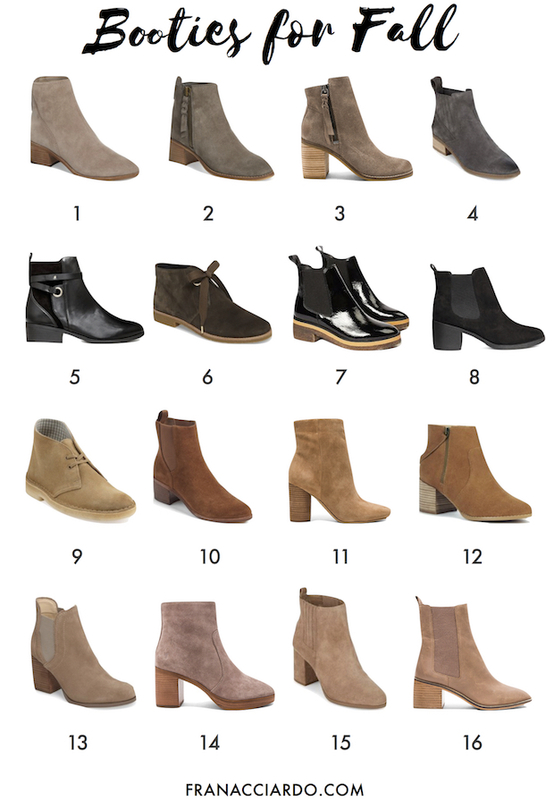 I've rounded up some of the cutest booties out there this season at all different price points. Booties are my favorite shoe for fall weather (like, real fall weather, not what we're currently experiencing) because they pull together the quintessential fall uniform of skinny pants, oversized sweaters, and a cozy jacket or scarf. Do you agree? Happy shopping, and join my movement to bring fall weather to America asap!!!! Which pair is your favorite? I'm in love with pair #14... of course they're the most expensive ones on here!!! !